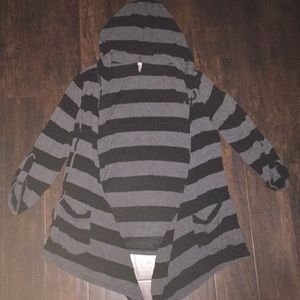 Hooded cover up, quarter sleeve with pockets. 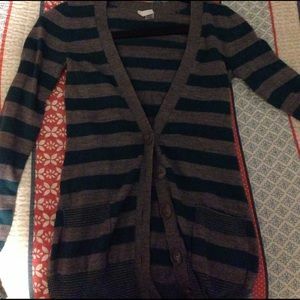 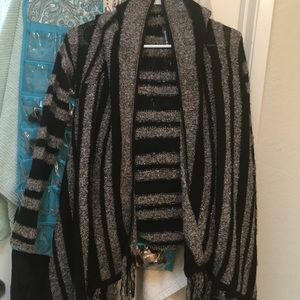 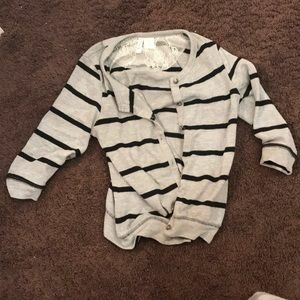 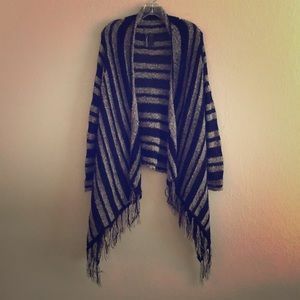 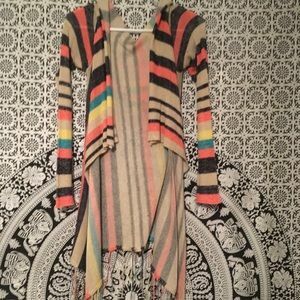 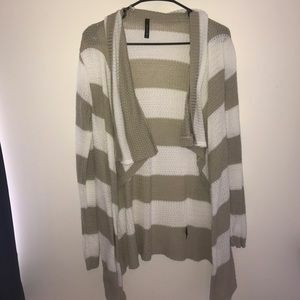 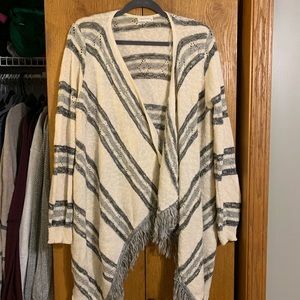 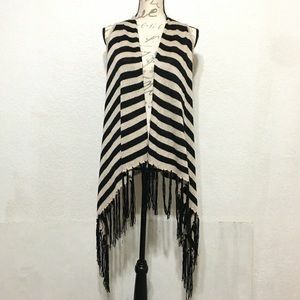 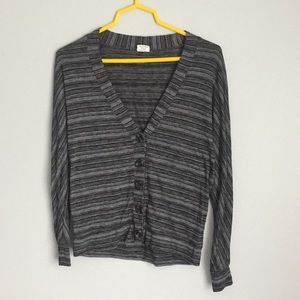 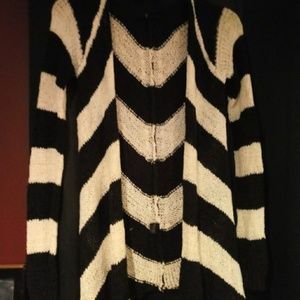 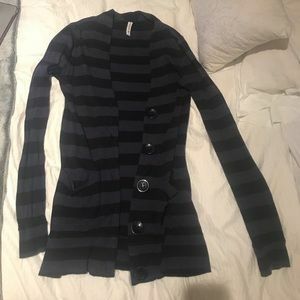 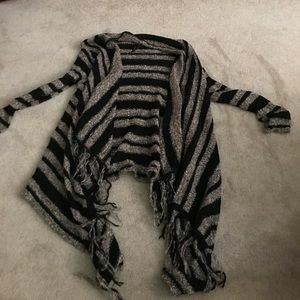 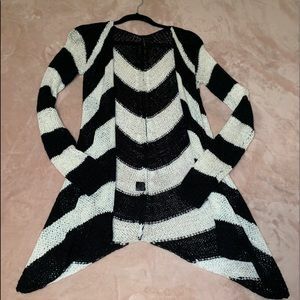 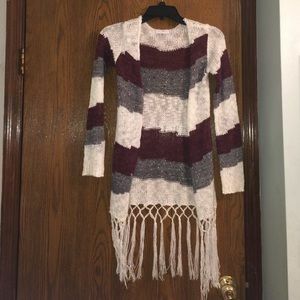 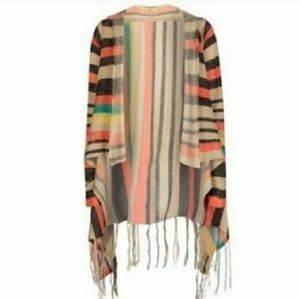 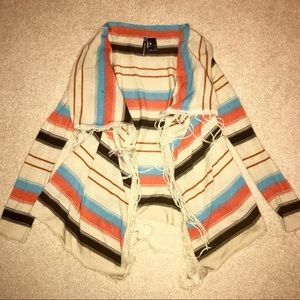 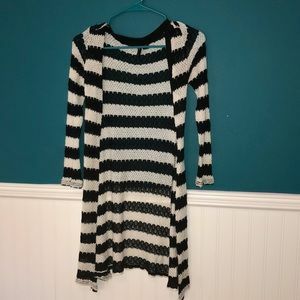 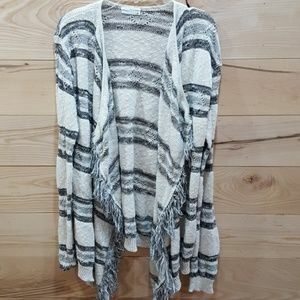 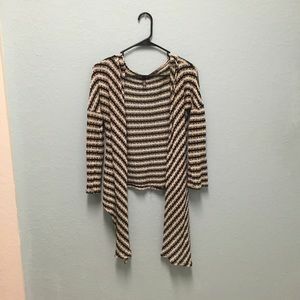 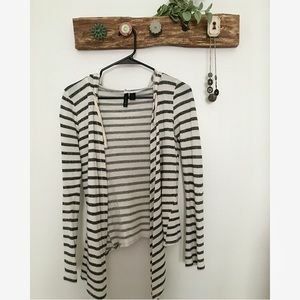 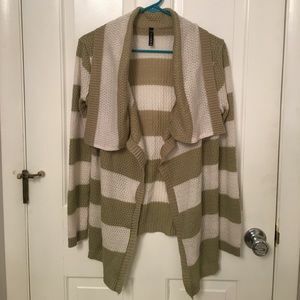 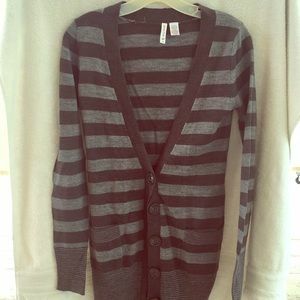 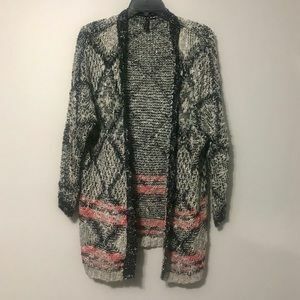 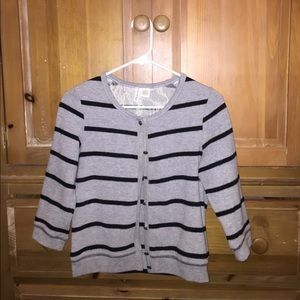 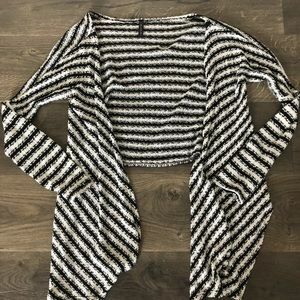 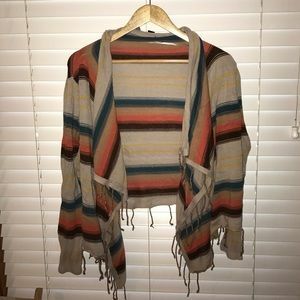 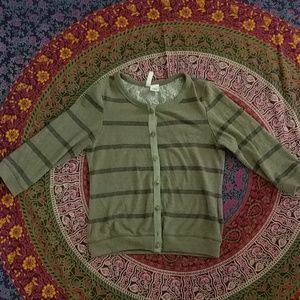 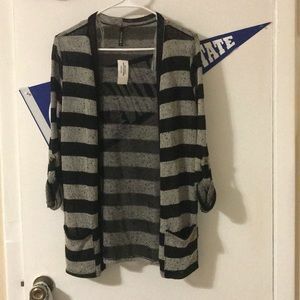 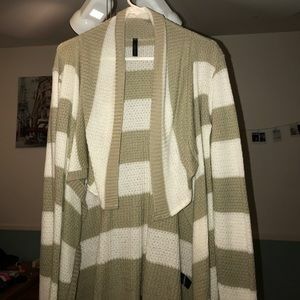 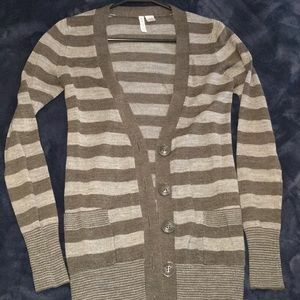 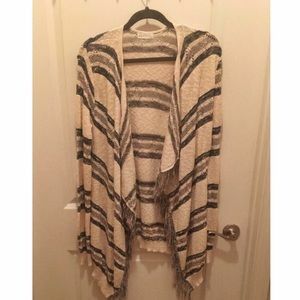 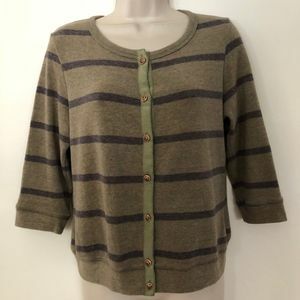 Cute striped cardigan with fringe. 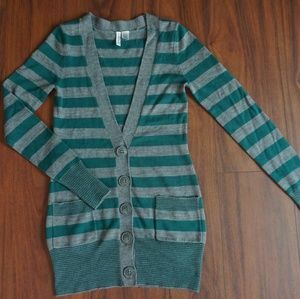 Comfy and cute blue sweater!